Pictured is MaREI Researcher Richard O’Shea who works in the Bioenergy Team with Prof Jerry Murphy in the Environmental Research Institute at UCC. 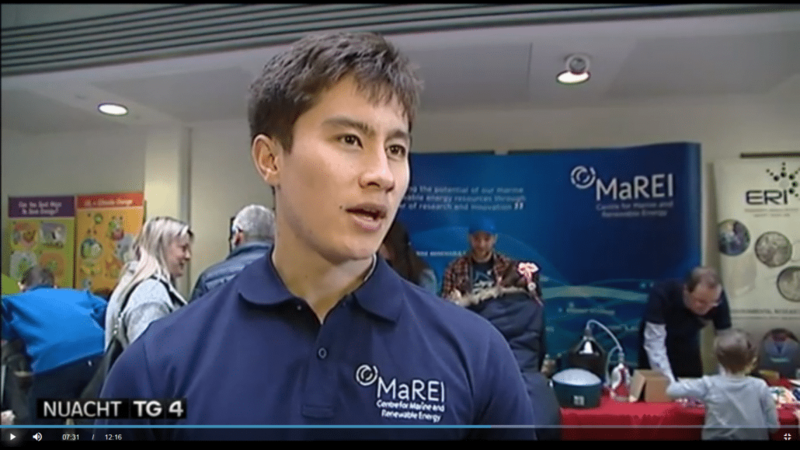 MaREI researchers took part in the Celebrate Science Open Day at UCC on Sunday Nov 13th as part of the Cork Science Festival. Watch TG4’s coverage of the event here including an interview with our own Richard O’Shea!